What’s the Difference Between Renting or Owning a Router? One of the first decisions you make when you sign up for an Internet package is whether you want to rent or own a router. Depending on the way your business is organized, you may lean one way or another, but router rental is usually the more convenient choice. Here’s what you need to know about the advantages and disadvantages of both options. Obviously, renting a router has a lower upfront cost; rather than purchasing a router for $125, you can instead rent it out for $9.99 a month (all prices plus tax). Though the cost of a router may not seem that significant, it’s also the cost of managing and maintaining it that has to be factored in. When you purchase a router, you need to configure it and monitor it; you become responsible for the management of it. If anything goes wrong with it, you need to fix it yourself. Comparatively, when you rent a router it already comes with a pre-configuration and ongoing management for a year. Once a year is up, you can upgrade your router to a different model — which means that you can stay on top of the current technology. Overall, renting a router is a more convenient solution, especially if you either don’t have an internal IT team to take care of it or your IT team tends to be busy with other aspects of running and managing your infrastructure. If you don’t want a WiFi router rental, you can instead purchase one. The router cost is $125 plus tax and that’s a flat rate; you don’t need to pay any more for it, so it is a reduced upfront cost. If you just want to buy your equipment outright and manage and maintain it yourself, this is the way to go. The advantage is that you’ll be able to handle everything moving forward, you won’t have an additional monthly cost, and you won’t ever need to worry about returning it. An issue with purchasing a router, however, is the fact that routers can become outdated. 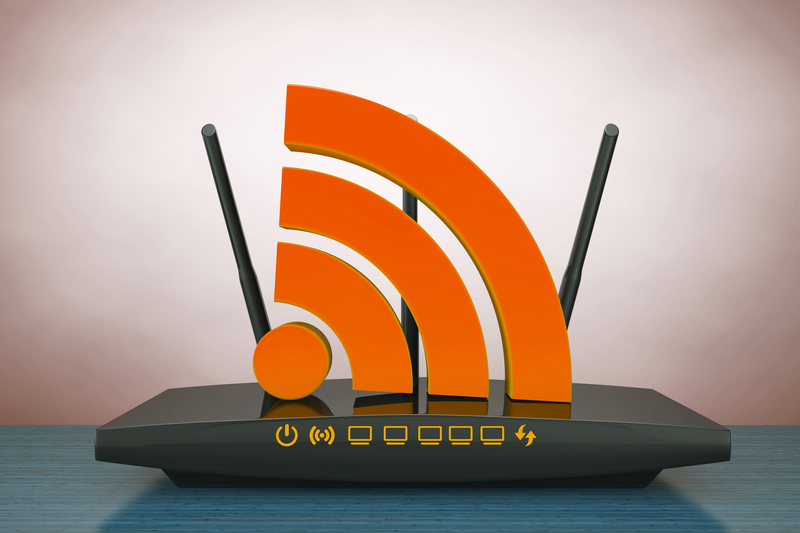 If a router is outdated, it may not be able to achieve the reliability and speeds available through your internet service. Over time, a router gets less effective and has to be upgraded anyway, so purchasing a router may just mean that you’re paying for a router that will later need to be replaced. Managing and maintaining a router also takes time; if your router goes down, your internet (and possibly your phones) also go down. When your router is configured incorrectly, not only could it lower all of your internet speeds, but it could also mean that your internet is no longer as secure as it could be. All of these things could lead to a less than adequate internet experience. Ultimately, it’s your choice whether you decide to rent a router or to purchase one, but most customers are going to get the best value through renting a router. When you rent a router, you’re able to upgrade it when you need to, and all of the configuration, monitoring, and maintenance can be handled for you. A rented router comes with configuration and management services at the cost of $9.99 (plus tax) a month. Though you can purchase a router for $125 (plus tax) outright, it will need to be configured and managed by you. Are you ready to find out more? If you’re interested in upgrading your internet service or finding out more about your router options, contact Phoenix Internet today. You can check the coverage map to get started.